Seems I've missed a lot by not reading the Washington Post. 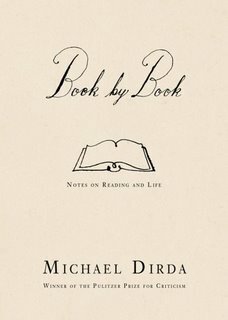 Your post has resulted in my purchase of not only Dirda's new book but also the Bound to Please book of essays. Perhaps you can work out a deal with Border's or Amazon. 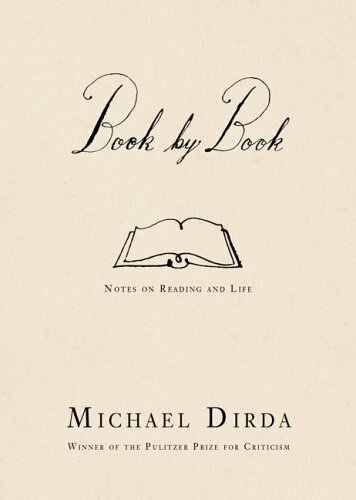 I'm thrilled to have turned you on to Dirda, who's a gem of a writer himself, in addition to being a gateway to much good writing. I really should get around to doing an Amazon affiliate thing, but then, the pennies that would earn me pale in comparison to the joy I get out of hearing from readers like you. Thanks again for visiting and especially for stopping a moment to leave this note.